We have over 20 years of experience repairing and renewing all types of footwear for men, women, and children. From cowboy boots to high heels, beautifully beaded moccasins to steel-toed work boots, there’s no shoe we can’t repair or restore. In addition to footwear, we also repair purses, handbags, and a variety of other leather goods. From your prettiest pair of pumps to your sweetest set of sneakers, we make sure that your favourite footwear is looking good as new. We install lifts and slip soles, dye satin and leather, replace Velcro, elastic, broken buckles, and more! 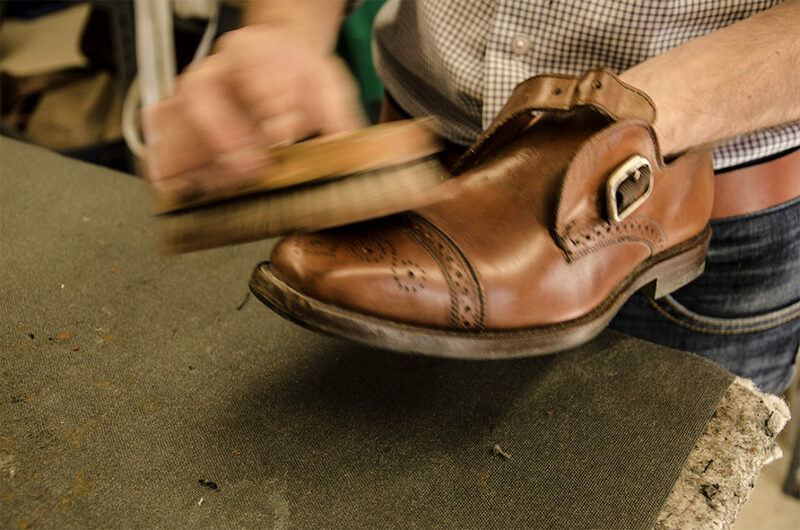 From dress brogues to cowboy boots, from work boots to sandals, we repair and revive all styles of men’s shoes. We are skilled at reheeling, resoling, stretching, patching, polishing, and more!